1. I determine my lot size – it all depends on what my equity is at that time. 2. Write out my take profit on paper, this is something around 50 to 70 pips. 3. One currency pair at a time i.e. either GBP/JPY or EUR/GBP. 4. I start by looking at the 15mins, 1hr, 4hrs and Daily time frames for these pairs. These are the recommended time frames I use in my trading system. On my trading terminal, I concentrate only on the above specified currency pairs, it becomes mandatory to open all the time frames on the specified currency pairs and that’s where my success lies. Take a look at the following charts below on the different time frames. This is how I open them and I insert my exponential moving averages, before going to place any trade order. 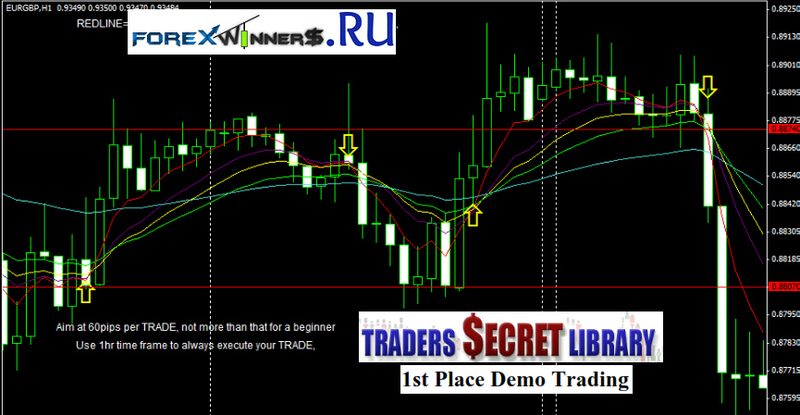 Whenever the 5, 10 and 14 EMA’s cross the 21 EMA upward it is a good signal to go long on the 1 hour time frame. I usually aim for between 40 and 60 pips. The same rule applies to short orders. If after 4 hours, and all I could gather is just 20 to 30 pips, what I do next is to place my cursor on the last two candlesticks, i.e. candlesticks that were formed 2 hours behind the candle that is currently open. I check the open value of these candlesticks and the open value of the present candlestick and if the difference is 5 to 10 pips, I know that it is time to exit the trade and wait for another opportunity.